You maybe have heard of it. You maybe know of someone tied to it. You maybe even have tried it for yourself. Whatever the case, you need to know all about this. What am I referring to? 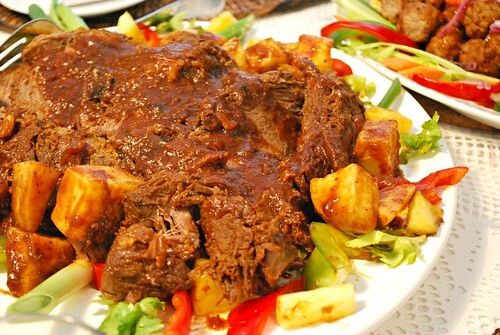 Filipino cuisine. For years, I've heard friends talk about their love of sushi, Chinese dim sum, pad thai noodles, Vietnamese pho soup, Korean BBQ, garlic naan bread... where's the love for Filipino cuisine?! Countless articles have been written about the rise of Filipino cuisine recently... from L.A. Magazine, Forbes, Eater, Smithsonian, and many more. Did you know that Filipinos are the second largest Asian American population nationwide (and the largest in California alone)? Filipino cuisine and culture need a voice. A large voice. A voice to call everyone over and join us at the table. California has been successful hopping on the Filipino food train since there are amazing places to get delicious fare throughout the state. New York is also making a mark with a few Filipino restaurants that are now considered hot spots foodies flock to. Chicago... well, we're getting there. We have our great mom and pop places geared to those within the Filipino community, but I have yet to see our cuisine become something non-Filipinos crave. Well, I'm hopeful that in time, Chicago will be able to catch on. Until then, I'm taking ownership of my native culture and cuisine by offering Filipino pop up dinners in Chicago every so often. Part of my thinking is that Filipino cuisine is best experienced when in the home of a Filipino family. The restaurant scene isn't the same, albeit delicious nonetheless. There's a level of love and care that comes from preparing Filipino food at home. For me, I'm extending my home kitchen to my kitchen studio where I teach my culinary classes. There, I'll be hosting Filipino pop up dinners as if guests are in my home, making the food with love and care as my parents have taught me. My first Filipino pop up dinner was a huge success, thanks to many friends and family who attended in support of the food I grew up on. Going forward, I'm hoping to reach more people to come to my 'Living Room', pull up a chair and join me at the table. All they need to do is sit back, relax, eat, drink and take it all in... while I happily cook, serve and share the food I grew up with and love. Chicago... give some love to Filipino culture and cuisine. I'm done holding back and keeping all this delicious food in the confines of my home. I'm sharing what I know and what I love so you can grow to appreciate it like other Asian cuisines... and hopefully, you'll grow to love it too. Chicago has their share of local Filipino restaurants, but after my trip to Philippines last year, my eyes have been exposed to so much more in terms of Filipino cuisine. For one, there is no where in Chicago where one can participate in a Filipino Kamayan experience. This is where tables are lined with fresh banana leaves and a river of amazing food is laid on top for guests to dig into. It's a communal experience of food, fun and camaraderie. And because Chicago doesn't have this offered, I'm offering it... I hope to help encourage the masses into appreciating and learning more about Filipino cuisine and culture, so that someday folks can speak about Filipino cuisine with as much excitement as they do other Asian cuisines. 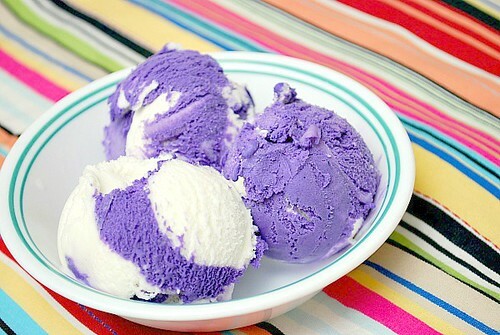 Join me at my next Filipino Pop Up Dinner on Saturday, June 6th! It's a perfect summer fiesta, complete with a 'kamayan!' Tickets can be obtained through Eventbrite HERE. 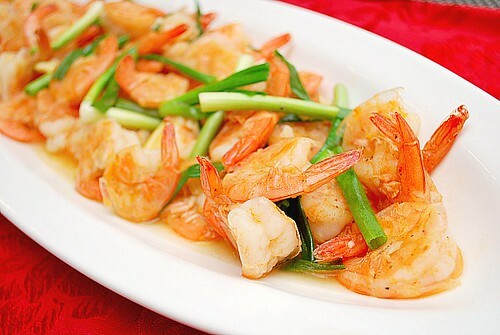 So... what's your favorite Filipino dish? 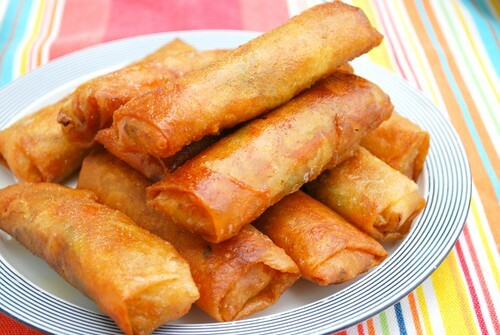 Would it be crispy lumpia stuffed with savory meats and vegetables? 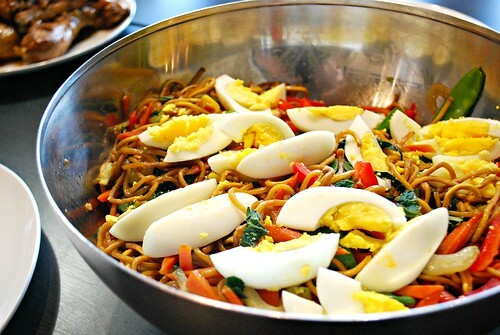 Maybe it's a specific kind of pancit, tossed with a melange of ingredients? 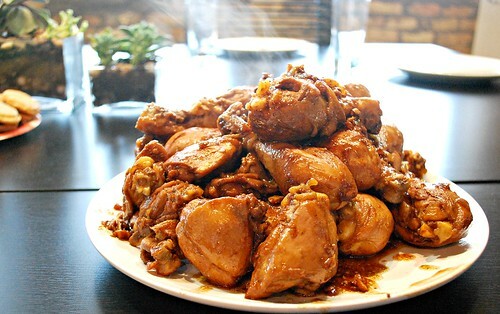 Perhaps its the Philippines' national dish of Adobo, simmering with garlic, onions, soy sauce and vinegar? Leave a comment with your fave dish! I wish I lived closer! I'm half Filipino and live in Minneapolis. I grew up with my Mom cooking a lot of fish, pancit and of course, Lumpia! I would love to try some of these other dishes!